In many respects, light can be described as a wave phenomenon (→ wave optics). More specifically, light waves are recognized as electromagnetic transverse waves, i.e., with transverse oscillations of the electric and magnetic field. The direction of polarization is associated with the electrical oscillations, not the magnetic ones. In the simplest case, a light beam is linearly polarized, which means that the electric field oscillates in a certain linear direction perpendicular to the beam axis, and the magnetic field oscillates in a direction which is perpendicular both to the propagation axis and the electric field direction. The direction of polarization is taken to be the direction of the electric field oscillations (i.e., not the magnetic ones). For example, a laser beam propagating in z direction may have the electric field oscillations in the vertical (y) direction and the magnetic field oscillations in the horizontal (x) direction (see Figure 1); it can be called vertically polarized or y-polarized. In a different perspective, this is also shown in the second part of Figure 2. Figure 1: An electromagnetic wave with the electric field (red) isolating in the vertical direction and the magnetic field (blue) in a direction perpendicular to the drawing plane. Of course, the polarization can have any other direction perpendicular to the beam axis. Note that a rotation of the polarization by 180° does not lead to a physically distinct state. Figure 2: Different polarization states of laser emission, illustrated for a few-cycle pulse propagating from left to right. A circular polarization state can mathematically be obtained as a superposition of electric field oscillations in the vertical and horizontal direction, both with equal strength but a relative phase change of 90°. Effectively, this leads to a rapid rotation of the electric field vector – once per optical cycle – which maintains a constant magnitude. 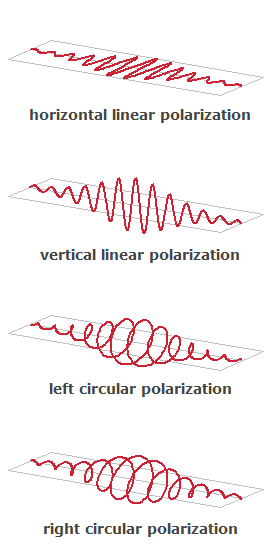 One distinguishes left and right circular polarization (see Figure 2). For example, left circular polarization means that the electric (and magnetic) field vector rotates in the left direction, seen in the direction of propagation. For an observer looking against the beam, the rotation of course has the opposite direction. If the oscillations of the horizontal and vertical electric field vector do not have the same strengths, one has the case of an elliptical polarization, where the electric field vector, projected to a plane perpendicular to the propagation direction, moves along an ellipse. With a half waveplate (λ/2 plate), one may rotate a linear polarization state into any other direction. 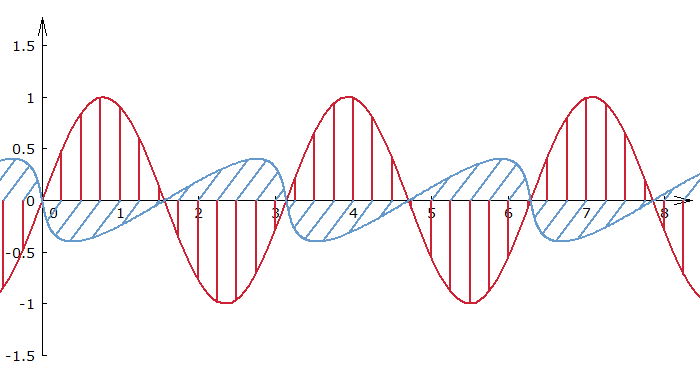 With a quarter waveplate (λ/4 plate), having its axis oriented at 45° to the polarization direction, one may convert a linear polarization state to a circular one (and vice versa). With a combination of one half waveplate and two quarter waveplates, one can realize a polarization controller, with which one can do arbitrary polarization conversions by properly rotating the three plates. In the previous cases, the direction of the electric field vector was assumed to be constant over the full beam profile. However, there are light beams where that is not the case. For example, there are beams with radial polarization, where the polarization at any point on the beam profile is oriented in the radial direction, i.e., away from the beam axis. Such a radially polarized beam may be generated from a linearly polarized beam with some optical element, but it is also possible to obtain radially polarized emission directly from a laser. The advantage of this approach, applied in a solid-state bulk laser, is that depolarization loss may be avoided . There are also azimuthally polarized beams, where the electric field direction at any point is tangential, i.e., perpendicular to a line through the point and the beam axis. Note that radial or azimuthal polarization state requires a zero electric field strength and thus also a vanishing optical intensity on the beam axis; it is not compatible with a Gaussian beam, for example. Radially polarized beams frequently exhibit a kind of donut profile. The polarization state of monochromatic light is often described with a Jones vector, having complex electric field amplitudes for x and y direction, if propagation occurs in z direction. That Jones vector may be constant over some area across the beam, or it may vary, for example for a radially polarized beam (see above). The effect of optical elements such as waveplates and polarizers are described with Jones matrices, with which the Jones vectors can be transformed by multiplication. A whole sequence of such optical elements can be described with a single Jones matrix, which is obtained as the product of the matrices corresponding to the components. There are cases where polychromatic light can be described with a single Jones director, since all its frequency components have essentially the same polarization state. However, the polarization state is substantially frequency-dependent in other cases. The polarization state of light often matters when light hits an optical surface under some angle. A linear polarization state is then denoted as p polarization when the polarization direction lies in the plane spanned by the incoming beam and the reflected beam. The polarization with a direction perpendicular to that is called s polarization. These indications have a German origin: s = senkrecht = perpendicular, p = parallel. Unfortunately, the terms are also sometimes used with a different meaning in the context of diffraction gratings . A light beam is called unpolarized when the analysis with a polarizer results in 50% of the power to be in each polarization state, regardless of the rotational orientation. Microscopically, this usually means that the polarization state is randomly fluctuating, so that on average no polarization is detected. Note that such fluctuations are not possible for strictly monochromatic light. Linearly polarized light can be depolarized (made unpolarized) with a polarization scrambler, which applies the mentioned random polarization changes, or at least quasi-random changes. The degree of linear polarization is often quantified with the polarization extinction ratio (PER), defined as the ratio of optical powers in the two polarization directions. It is often specified in decibels, and measured by recording the orientation-dependent power transmission of a polarizer. Of course, the extinction ratio of the polarizer itself must be higher than that of the laser beam. The laser gain may be polarization dependent. This is the case in some anisotropic laser crystals (e.g. Nd:YVO4 or Nd:YLF), but also in some semiconductor optical amplifiers. 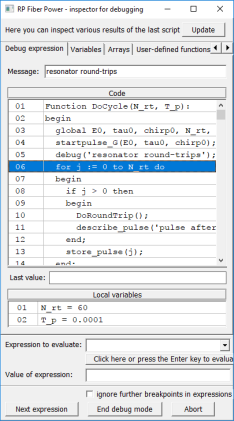 The resonator losses may be polarization-dependent, e.g. when the resonator contains a Brewster plate or even only a slightly tilted optical component. Note that a very small gain or loss difference for the two polarization directions can be sufficient for obtaining a stable linear polarization, provided that there is no significant coupling of polarization modes within the laser resonator. On the other hand, the polarization state of the laser output can be disturbed e.g. by random (and temperature-dependent) birefringence, such as occurs e.g. in optical fibers (if they are not polarization-maintaining or single-polarization fibers) and also in laser crystals or glasses as a result of thermal effects (→ depolarization loss). If the laser gain is not polarization-dependent, small drifts of the birefringence may lead to large changes of the polarization state, and also a significant variation in the polarization state across the beam profile.